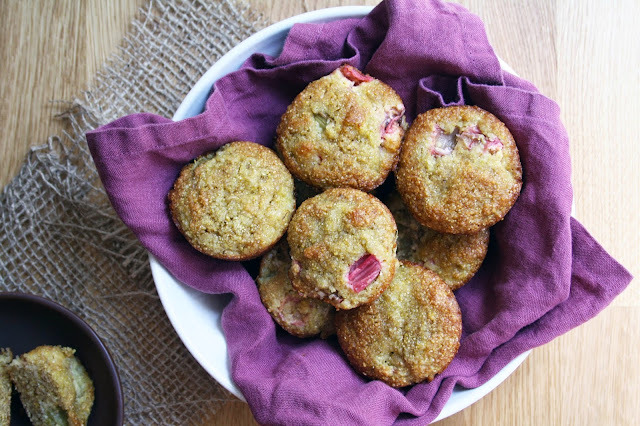 Growing up, rhubarb wasn't a thing around our house. Not to blame my parents or anything, but it was one of those things that we didn't eat because they didn't like it (fried eggs was on that list too, but more on that later). 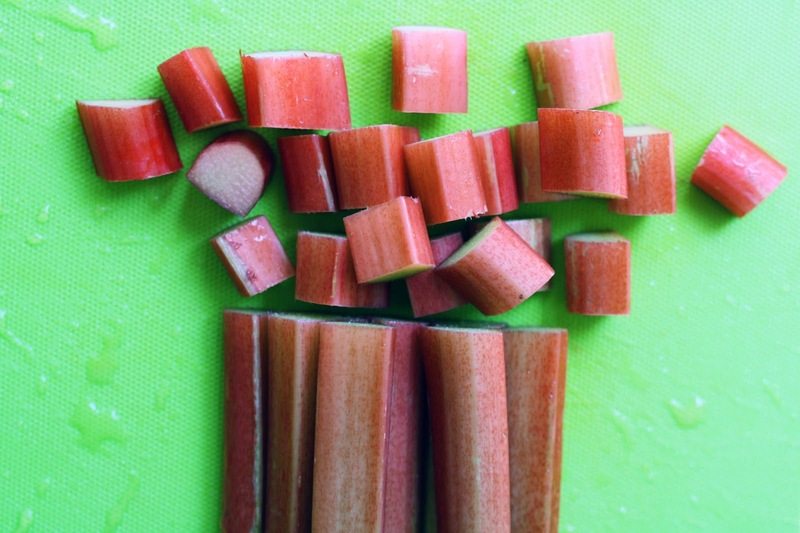 I grew up thinking that the only way to eat rhubarb was combined with strawberries in pie. False. Last year I fell hard and fast for rhubarb. I doused countless morning yogurt bowls (and waffles) in compote, and scooped fluffy cream on everythaaang. This year, I went the roasting route, and my life will never be the same. 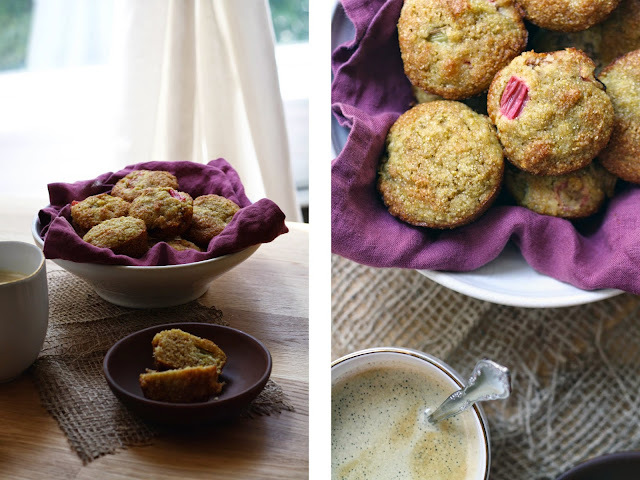 Make sure to grab some rhubarb while you can, and get roasting! Dense, textured and perfectly tart, these make for a wonderful breakfast muffin, and equally great mid-morning snack. Preheat oven to 375. Line a muffin tin with liners. 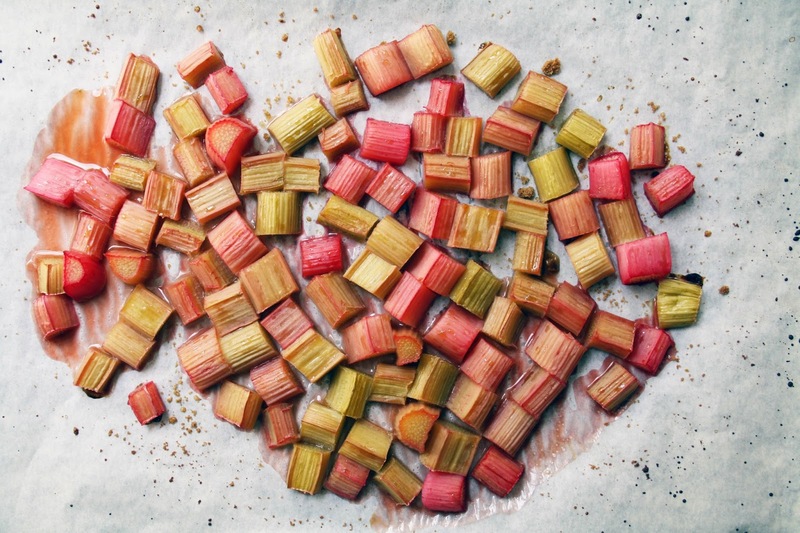 Start by roasting the rhubarb. Line a baking sheet with parchment paper; spread the rhubarb in an even layer and sprinkle with brown sugar. Roast for 25 minutes. In a separate bowl, combine the eggs, oil, maple syrup and vanilla. 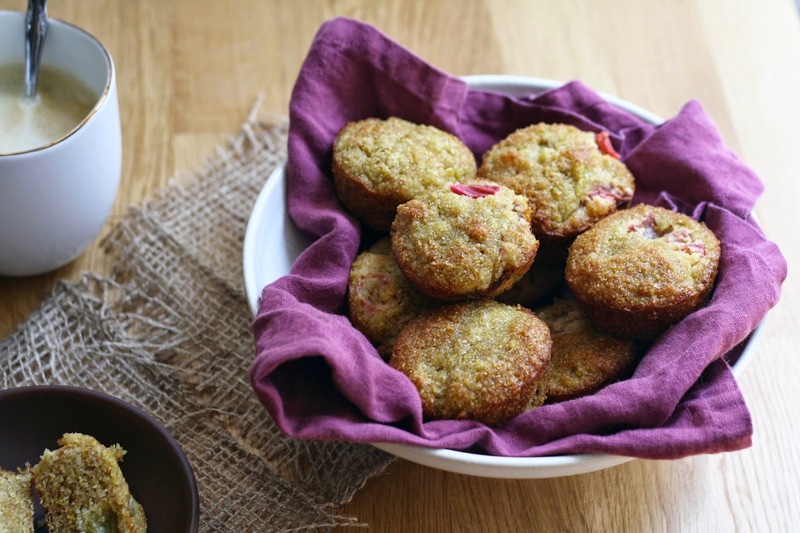 Fold the wet ingredients into the dry, stir to combine, and transfer to the muffin tins. These muffins don't rise very much, so fill the tin to the top (there may be only enough batter for 10-11 muffins). Bake for 15-20 minutes, until a toothpick comes out clean. Allow to cool in the tin for 5 minutes, then transfer to a wire rack.